David Lasky’s Prelude on “Picardy” is expertly designed for use as an organ prelude with its essential reflective quality interjected with modal and rhythmic changes that lead to an unexpected ending. The tune “Picardy” is most often paired with the text “Let All Mortal Flesh Keep Silence”. This composition is a set of continuous variations moving from d minor to d dorian and back again. The first directions on this piece ask the organist to play “reflectively but not too slowly.” There are slight chromatic modifications in the first variation that are used more expressively toward the end of the piece. The middle variations move somewhat faster with more chromatic and rhythmic changes. The final variation spins to a pensive ending. 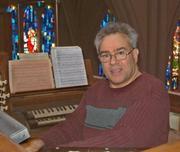 David Lasky earned his Bachelor of Music in 1979 at the University of Massachusetts-Lowell, where he also earned his Master of Music in organ performance. In 2005, he earned his Master of Arts in church music and liturgy at St. Joseph’s College in Renssalaer, Indiana. 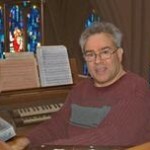 He is organist and director of music at St. Cecelia’s Church in Leominster, Massachusetts, and resides in Hartland, Vermont with his wife, Pamela, and their beloved cats, Chloe, Puzzle, and Leo. The heartbeat of their home is their dog, Shelby, whom they love beyond measure. As an organist, Mr. Lasky has performed as soloist and in ensemble throughout Massachusetts and in recital at the National Cathedral and the National Shrine of the Immaculate Conception, both in Washington, D.C. He is very active as a composer and arranger of sacred organ and choral music, with thirty-nine collections of organ music in print.